When its the mother of your child, who’s really laughing?! During a recent interview, former Blac Chyna’s trick Ex, Tyga, recalled the moment he saw Rob Kardashian publicly exposing the mother of his son. Where was Tyga when the #RobKardashian rant hit? He speaks on it one-on-one with @bigboy at 7:30am and talks about his new album #BitchImTheShit2, relationships, #BlaccChyna, #KylieJenner and much more! 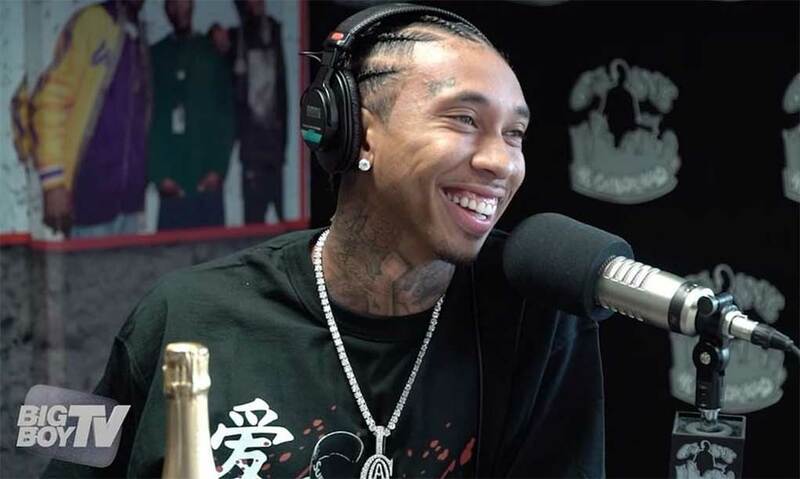 Don't miss #Tyga one-on-one with @bigboy tomorrow at 7:30am speaking on his new album #BitchImTheShit2, relationships, #RobKardashian & #BlaccChyna, #KylieJenner and much more! Damn shame, all of it! Next articleR. Kelly’s Hoes Just Hooked ‘On the High Life’? He’s so happy to have a microphone in his face he can’t hide his excitement. China doll is providing publicity and income for all the players in the game who were sitting on the bench!